Kyoto is really a lovely town, and is one of my favourite places on the planet. They are filled with tourists, yes, and they live, more or less, off the tourists, but it is because of their charm that cities like Kyoto or Venice really are able to preserve at least some of their flavour that most other places have thoroughly lost – even the old districts of Beijing are slowly dying, because of the lack of preservation and the encroachment of new economic developments, which have spawned massive, unlivable blocks of monumental buildings instead of the very human-scaled neighbourhoods that used to characterize the city. Kyoto, thankfully, has mostly maintained that. As you can probably guess, I just made a trip to Japan for the past few days, and tried, at least a little bit, to work some tea related activities in there among all the sightseeing. 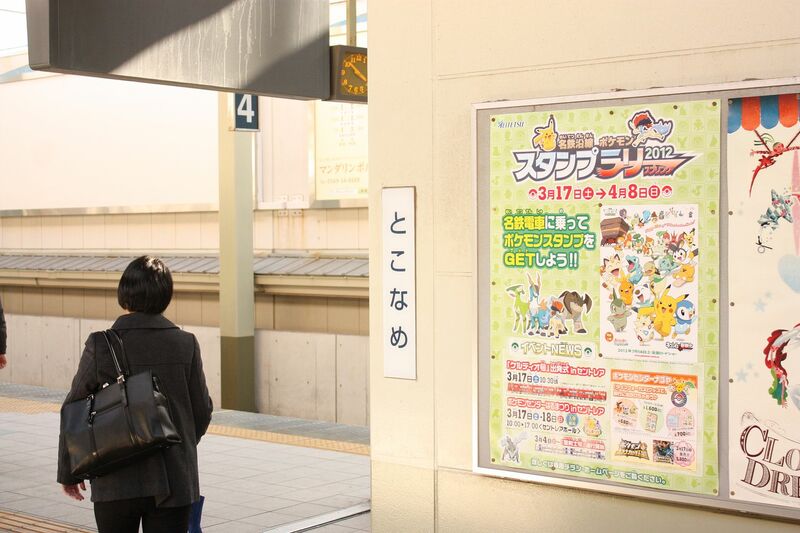 It started, in a certain sense, right after I got off the plane and onto the train from the Chubu airport – Tokoname (yes, that Tokoname) is, unbeknownst to me, right across the water from the airport and was the first stop of the train. I must admit to having neither interest nor time in getting off the train to see the kilns, but next time, I guess I’ll know where to go. It was cherry blossom season, although after an unusually cold winter and a freak windstorm the day before I arrived, most of the trees weren’t blooming yet, although some were. 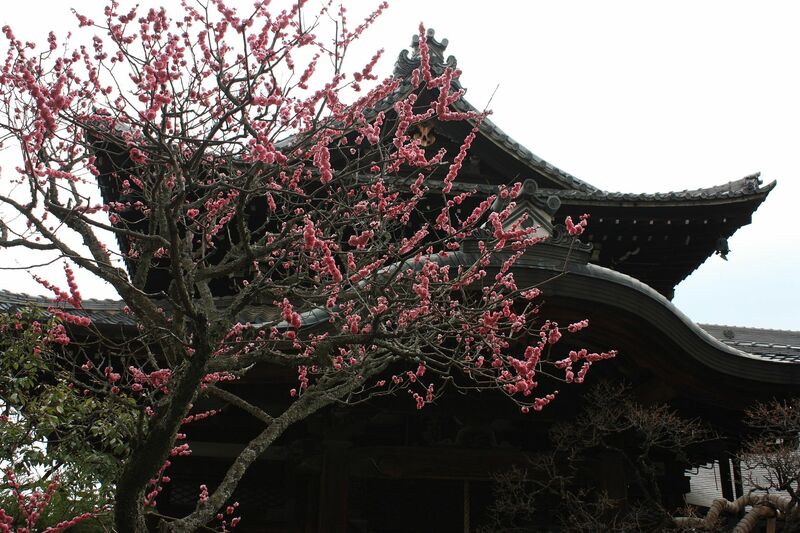 There are actually more cherry blossom trees in places like Vancouver, where they pretty much line every street and the city turns into a sea of pink during spring, but it doesn’t have temples like these. I did stop by a few tea places, one of which is Ippodo, which I understand lots of folks like to buy tea from online. I was traveling with companions, and so I got to try more than one thing. There was a spring special (not seen here) menu as well. 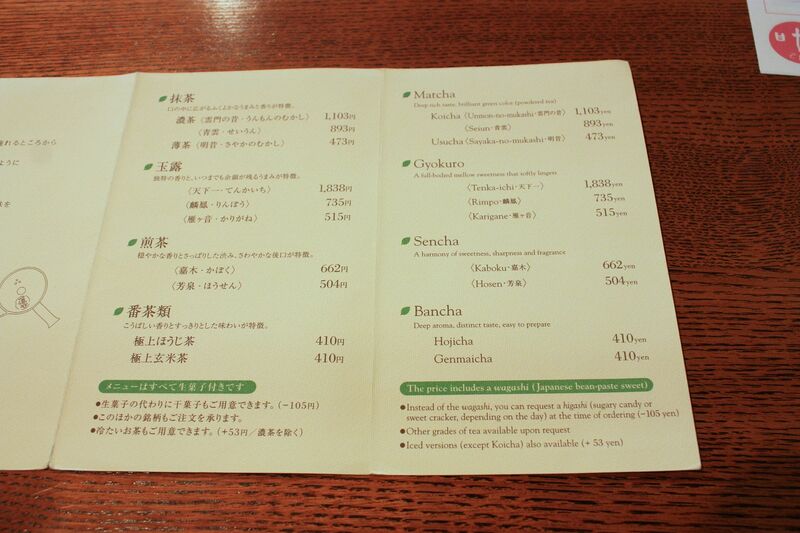 I had the Nodoka matcha from that menu, and someone else had the organic sencha. They seem to have an A and B version, but since A is sold out, I presume I tried the B. 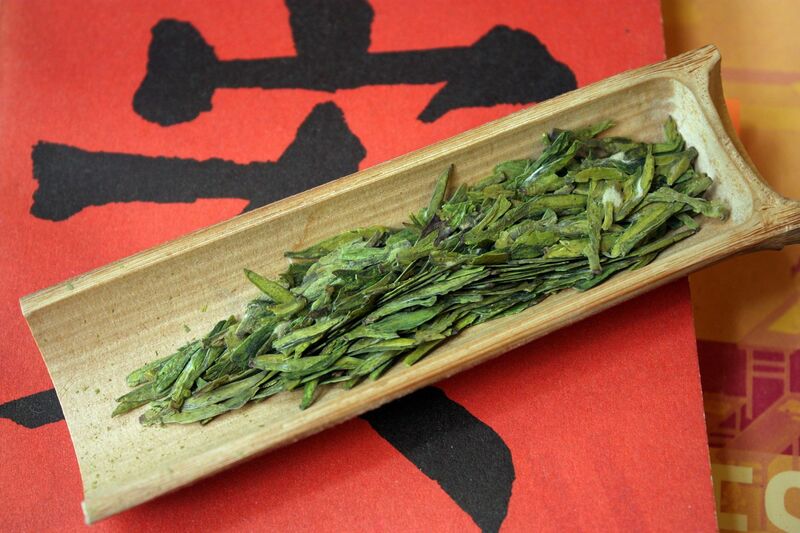 The organic sencha is very good, with a deep, robust taste and solid mouthfeel. Anyone who’s read this blog with any regularity knows I’m not exactly a sencha fan, so for me to like a sencha is indeed a pretty rare thing. I didn’t buy any though, since I know if I bought any I wouldn’t finish most of it in time for them to be fresh – stale sencha is really not my cup of tea. 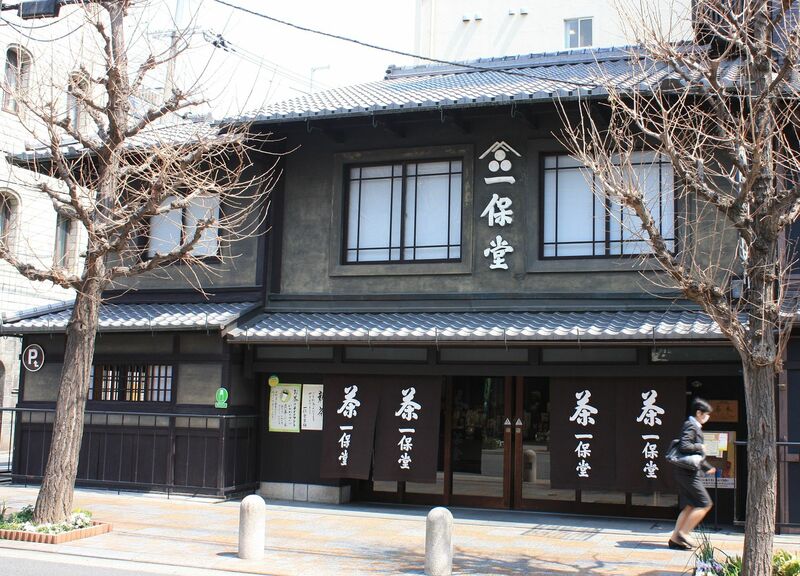 Kyoto also has a lot of antique shops scattered around, and Teramachi, where Ippodo is located, has a number of them. 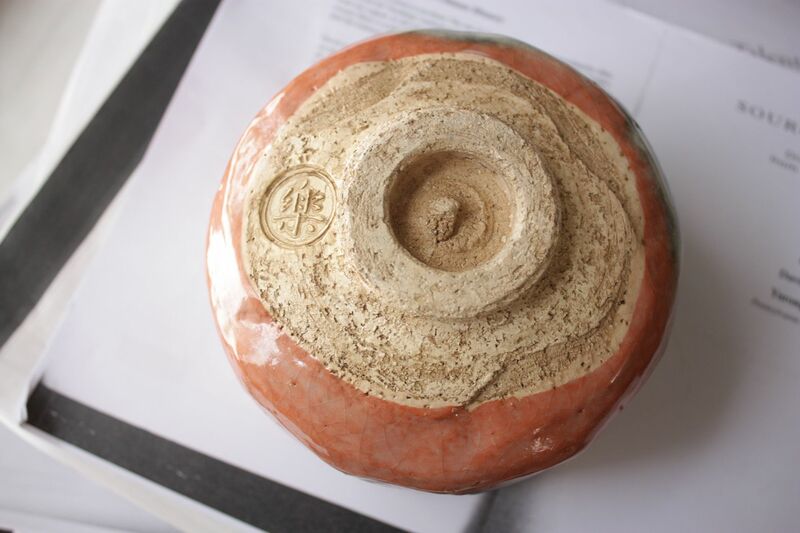 I ended up taking home a Republican era pot for a reasonable sum of money. Later in the day, I also found the perfect coaster for pots, made of rattan, in a random teaware shop that has been around since 1870 that I ran into near Daitokuji, which itself is, in my opinion anyway, a must-see site of Kyoto, although one could say that about many of the sites in the city. The rattan coaster, in particular, is something I’ve been seeking for a while now. Those things are hard to find. It’s probably only in places like Kyoto where you can run into a 140 years old shop selling high quality teaware while randomly strolling along an otherwise nondescript street. There was, alas, no time for more extensive tea or teaware shopping this trip, as I was on a pretty tight schedule. It would’ve been nice, for example, to see Uji again, but that will have to wait till another day. I also stopped by Osaka, which offers no such luck in finding items. Metropolis though it is, the antique shops located in the Oimatsu area are extremely disappointing – only two offers any kind of collection of teaware. One was mostly junk, the other being extremely overpriced. Kyoto, it seems, is hard to beat, and I’ll have to go back there for some more sooner rather than later. 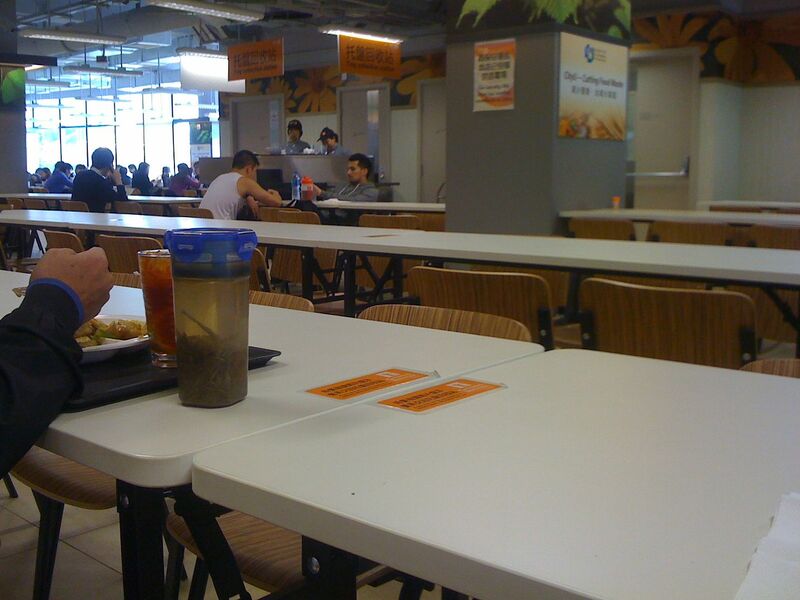 Taken at the local canteen. Note that it is green tea, and the high level of leaves to water ratio. From what I could see, this was some type of green tea. The office I’m in right now has an interesting policy – spent tea leaves, along with other things solid but wet, are discarded in a little sieve that sits in the communal sink. So, whenever I clean out my cup full of leaves, I throw the leaves in there and rinse the cup out. Among the side benefits of this system is that I get to see what other people drink. Not too surprisingly, the only thing that comes out of people’s cups, at least when it’s tea related, tend to be greens or very light oolongs. There are a few supposed tea junkies in the office (your truly excepted, of course), but I generally don’t see any real tea activity here. Maybe they drink it at home, but if they do, they probably stay up late, given that office hours in Hong Kong tend to end at 6pm. 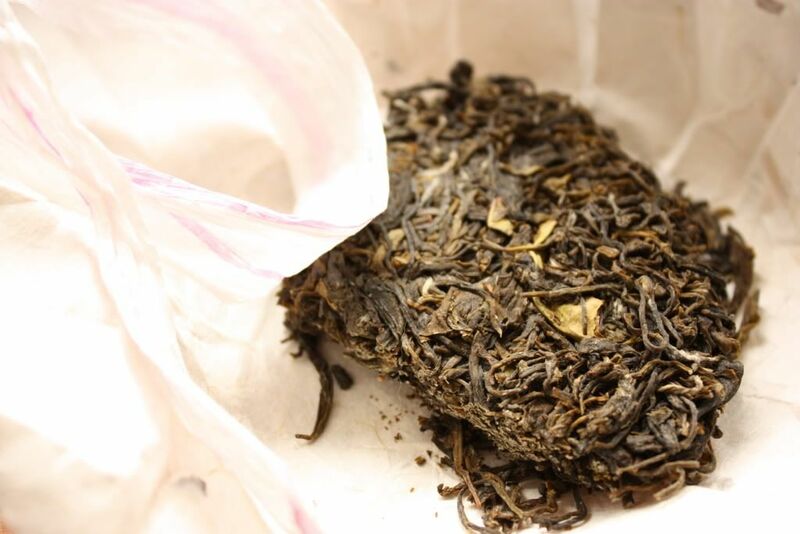 When people throw away tea leaves, they are usually green tea of some kind or another, and usually not the high priced stuff that are easily identifiable – longjing or biluochun. More likely, they’re some unidentifiable maofeng or some such. I also seem a fair amount of green oolongs of various types. Not surprisingly, no puerh at all. While someone has an “old tree” puerh cake sitting on her desk, no doubt a cooked tea from the yellow coloured label, it has, as far as I can tell, never been moved since I arrived a few months ago, never mind drunk. This confirms what I always know – puerh, even in Hong Kong, is strictly for the aficionados or those going to yumcha. One of the great advantages of drinking matcha, as opposed to leaf tea of all sorts, is that it is faster, much faster. From start to finish, you’re done in at most half an hour, and quicker if you want to. I knew today was going to be a busy day of meetings and what not, and that I won’t get a chance to drink a real cup of tea until maybe 8 or even 9 pm, so I pre-caffeinated myself with some matcha. It also served as an opportunity to use my rarely used chawans, which, in today’s case, is an akaraku I bought maybe a year or so ago. Now that we know it’s safe, I can take it out for pictures. 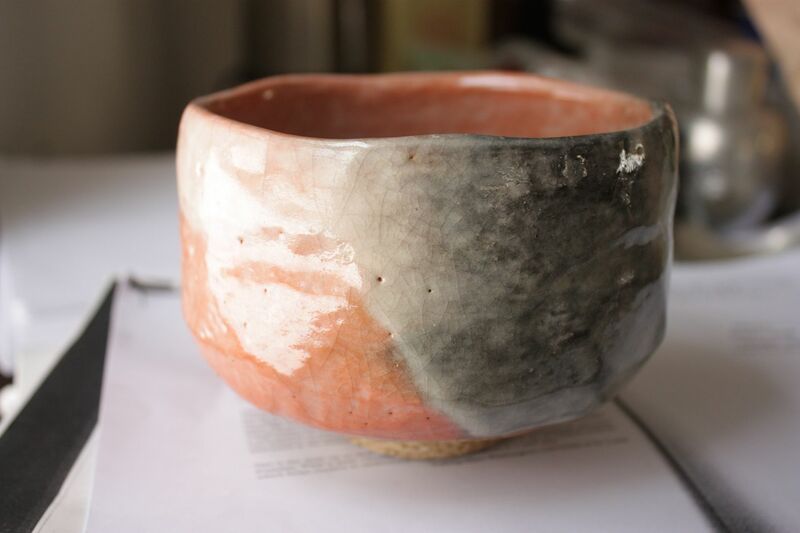 I love raku ware. They have a soft, supple tactile feel and a lightness to them that are the direct opposite of what you’d expect when you just look at them — big, sturdy looking things that are often quite heavy-set. They sound like wood, rather than ceramic, when you tap on them, and I can’t quite find the same feeling with any other kind of ceramics, Hagi included. Kuroraku bowls are serious, whereas akaraku, at least in my own untrained opinion, seems more cheerful. So it is really rather sad that I don’t have good matcha to go with it today. The only thing I have at the moment is more than a year old, which, as you can imagine, is not an optimal age for matcha. The tea, while it still retained much of the flavour, lost the high, fragrant notes and the sweetness that makes matcha so good. It also gained a bit of an unpleasant side-taste to it that I don’t particularly enjoy. This is a problem with me and all types of green tea — I can never, ever drink them fast enough so that they don’t go bad. I drink green tea so sparingly that it’s difficult, if not impossible, to finish anything in a season. While a can of matcha only costs maybe $20 or $30, a bag of top notch longjing will set me back $100 or more, easily, for a 3oz bag. That’s mostly why I have stopped buying green tea entirely — it’s simply not worth that much to me, especially since half of it inevitably goes wasted. 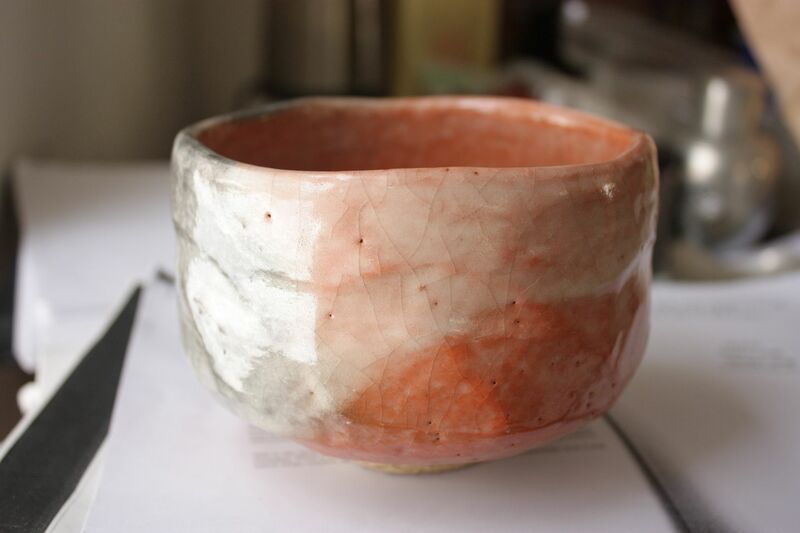 It’s always fun to play with matcha ware though. I should really do this more often. I just went to the Hong Kong International Tea Fair yesterday. It’s been a few years since I’ve been to a tea expo, and this one was a bit different from when I went to the one in Shanghai during the height of the puerh boom. Partly perhaps also because it’s Hong Kong, the kind of tea merchants who were here were much more international, and also quite diverse in their offerings. Most of the sellers were, of course, from China, but very often from provinces that are lesser known, such as Guizhou or Hunan. The selection of green tea was very diverse, whereas the more popular things, such as various types of oolong from Fujian, were fewer. As for puerh, there were a smattering of makers there from the big factories, such as Menghai or Haiwan, but even Xiaguan was not there. There were some producers from Taiwan, India, Sri Lanka, and other places as well. I think much of this was a product of the fact that many of the better known companies or types of tea simply don’t need the exposure at a tea fair, so they’re better off not coming and paying the expo fees instead of actually showing up. For the lesser known, this is a great way to get some exposure that they otherwise won’t have. I saw a few things that I know relatively little about. 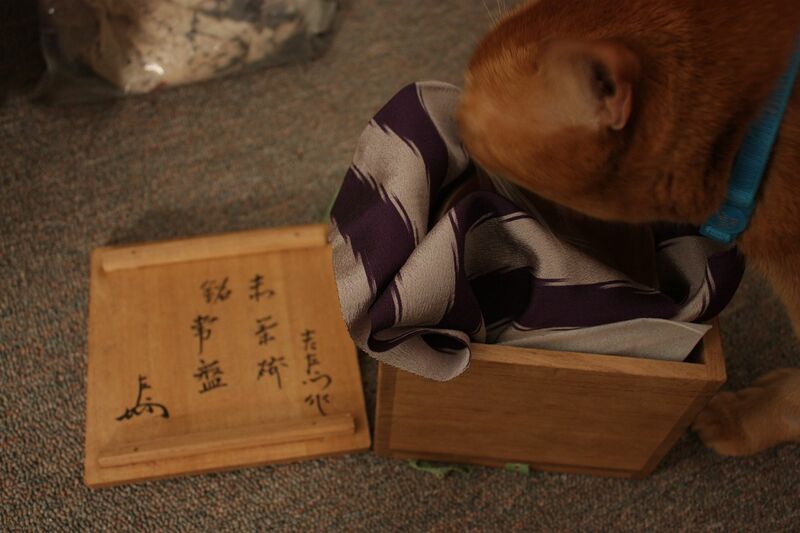 The first is a company called Zealong, which makes oolong in New Zealand in the Taiwanese style. The taste of the tea is very clean and crisp, and reminds me of decent Taiwanese high mountain oolong. The company, according to their reps, was started by someone from Taiwan, and now has a few different teas. It was interesting, although not terribly cheap. I can imagine some place like New Zealand growing some interesting teas though. 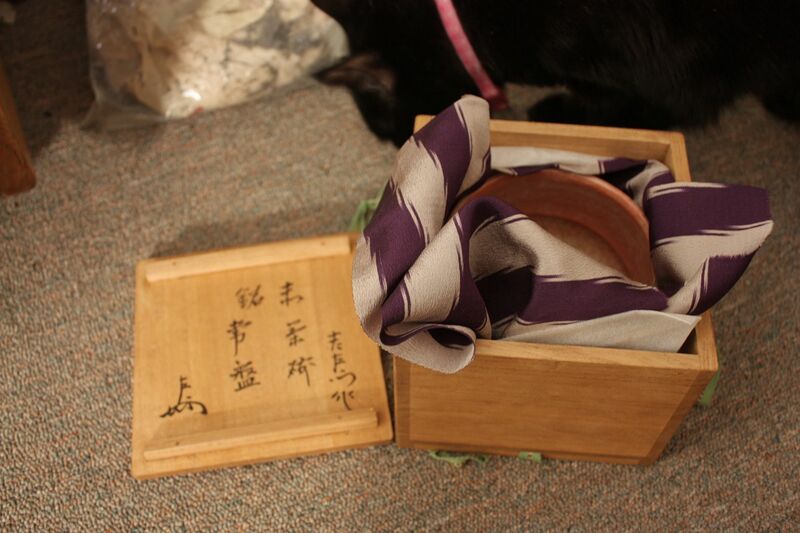 I also met two Korean tea makers, and bought some of their products. Korean tea tends to be green tea of various types, but one of them also made a white tea that had higher levels of oxidation, much akin to something like a baimudan with some age. I bought some for personal consumption. More on those later. Another stop in Beijing before heading home on this trip. Seeing some old tea friends from up north should be pretty interesting. Stay tuned. Longjing is my first love. 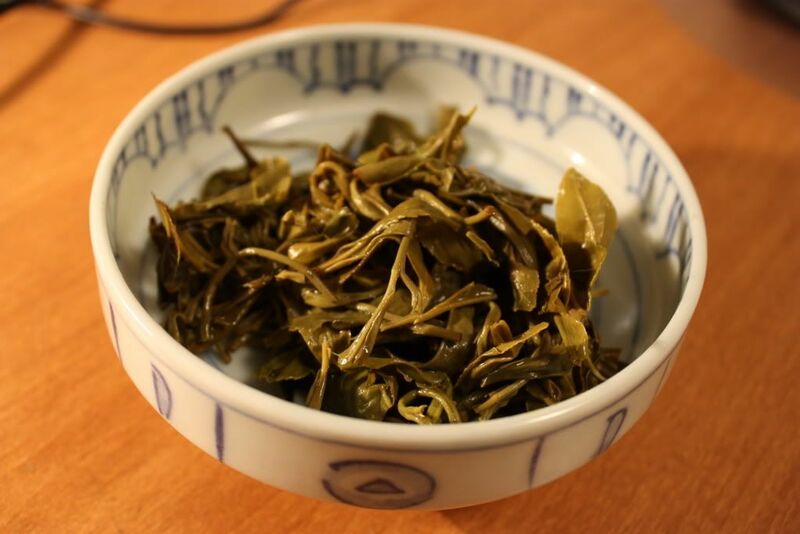 I’ve talked about longjing a long time ago. It was the tea that got me into tea drinking. It’s the tea that my grandpa likes to drink a lot (yes, in grandpa style), and it’s also the drink of choice for folks from my area of the country. All this oolong stuff is just silly, and puerh is obviously crap. 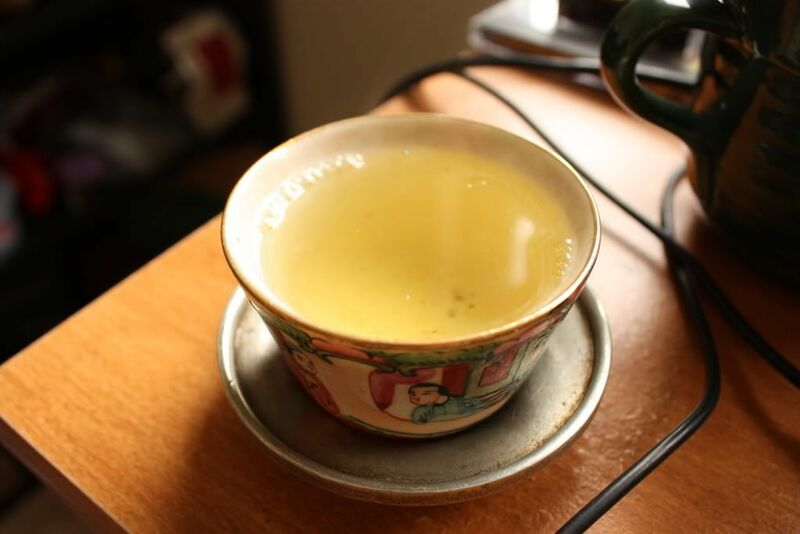 Longjing (and maybe biluochun) are the gold standards of what constitutes a proper tea. I used to be pretty serious when brewing longjing — gaiwan with a fairness cup to cool the water, a soft pour, quick(ish) steeps. The resulting brew comes out very, very light in colour. The best longjing, as my old post already mentions, are usually very faint in colour — almost white, rather than green, is the norm. If your leaves are dark green and the tea comes out yellow, it’s probably harvested later or low grade stuff. 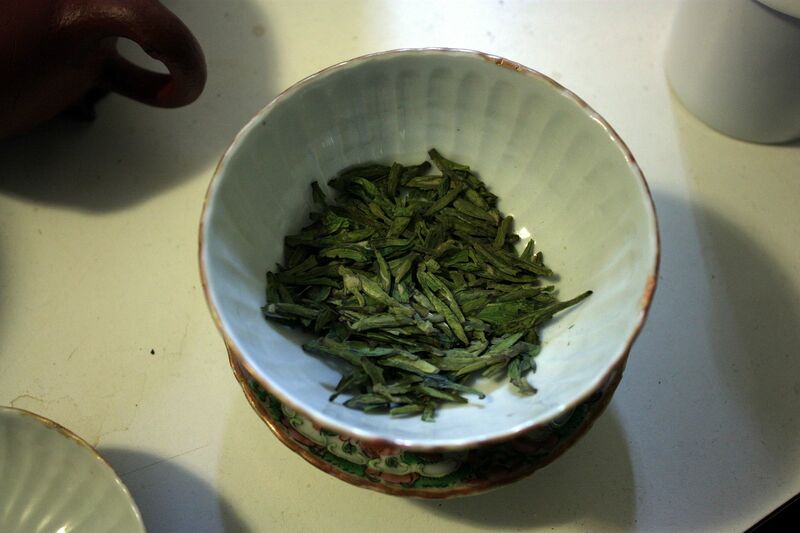 If someone sells you a mingqian (pre-Ming) longjing for $400 a pound and it’s the colour of pine needles, it’s no good. Another physical trait of decent longjing is that they tend to be hairy, and the buds should ideally be very thick and round. They should look “fat”. If the leaves look “skinny” to you, it’s probably not a very good grade, although of course individuals differ, and the ultimate test is still in the taste. Using appearances to judge tea is a very flawed way to do so, but for something like longjing it is actually possible to get some idea of what the tea is like before even trying it. I don’t drink much longjing these days, mostly because they tend to be expensive, and I don’t drink much of them to warrant a purchase. Every year I might drink it a handful of times, and the rest, unfortunately, turn to yellow tea, old, somewhat weird tasting, but still drinkable. They are hardly worth the cost, however. Not being near the source also doesn’t help — longjing is something you need to purchase in person, rather than from some online vendor. Being in the US hasn’t helped my longjing habit. The colours here are a little off — my house has poor lightning for pictures, which is why these days I don’t take as many pictures. You can see the white tuffs of hair on the right hand side on one of the leaves, and scattered around. 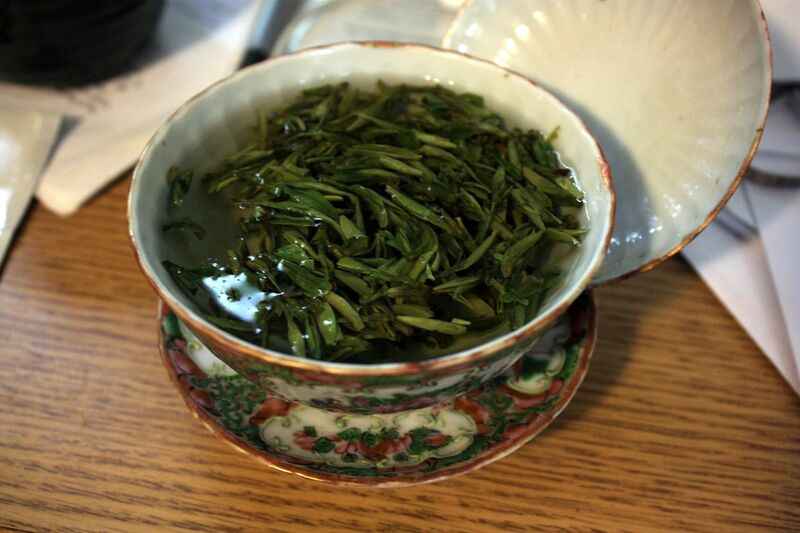 Different longjing from different vendors always look different. These days when I make longjing, I generally use a gaiwan and make it the old fashioned way — in the gaiwan as a sipping cup. If that’s how people used to make it for hundreds of years, then I see no reason why we should go all fancy on it. It is, in other words, grandpa style with gaiwan. How much leaves to put into these things is key — too much and you risk stuffing the cup and making it incredibly nasty. Too little, and it’s going to be bland. For this sort of brewing, if it covers the bottom of the cup it’s probably about right. Now, how’s the tea? Fragrant, with a nice minty feel down the throat. I find it to be beany, which is normal for this kind of longjing. It’s not too astringent even when brewed for a while — which is a good thing. I’ll probably make it once the gongfu way, but drunk this way the tea is quite nice. Salsero on Teachat gave me some tea recently, two greens, to be precise (and one darjeeling). I drink greens fairly casually. My family, being from the Shanghai region, mostly drink green teas, usually longjing or biluochun. My grandfather drinks nothing but tea all day. My first tea revelation was a high grade longjing, showing me how not all teas are created equal, and starting me down this very slippery slope on which I’m still sliding, head first, into the abyss…. The tea I ended up making today is Yangyan Gouqing, a Zhejiang green that’s slightly rolled. I made it the old-fashioined way, in a gaiwan and sipping from time to time, with no parameters to speak of. It’s mostly one bud two leaves. Very sweet, somewhat aromatic, and pretty good for the price. Steeped too long and it gets a little rough, but that’s because I used a generous amount of leaves. Some might say I’m wasting good green tea, but that’s how 99% of people drink green tea, steeped grandpa style in a cup or mug or bottle, and I don’t pretend to be any different from them. I rarely drink greens these days, but doing this takes me back to when I used to drink more of them, sampling all kinds of longjing to find out which one’s better. These days I probably don’t even get through 100g of green in a year. On the rocky cliff of the Jade Snail Peak of the East Mountain in Dongting, there are a few wild tea trees. Every year, locals would carry bamboo baskets to pick the leaves for daily use, and have done so for decades with nothing uncommon. One year during the Kangxi period, they went again at the usual time, but this year there were more leaves than usual, and the bamboo baskets were overfilled, so they had to carry some leaves in their arms. The leaves, because of the body heat, started to emit a strong aroma, and the tea pickers all said “xia sha ren aroma”. 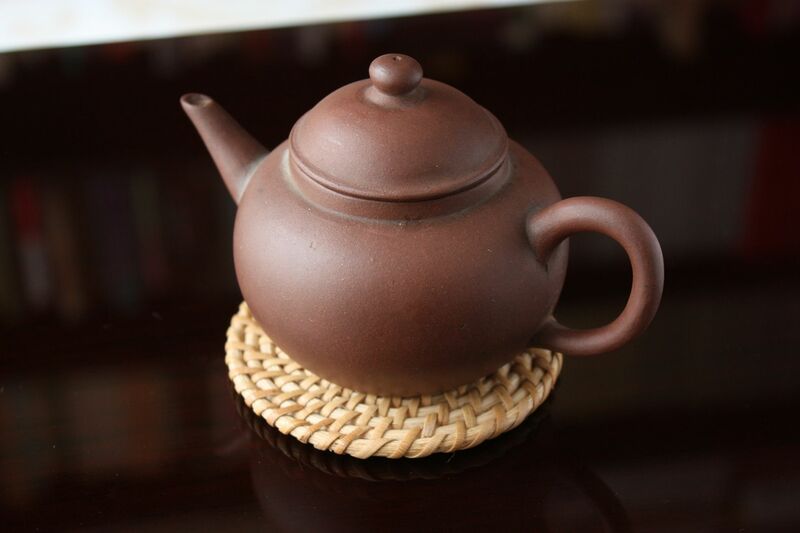 “Xia sha ren” is the local dialect of the Wu region, and so the tea came to be named as such. * Thereafter, every year when it was time to harvest the tea, the locals all take a bath and go en masse, and instead of carrying them in bamboo baskets, they carry it by bare hands in their bosom. 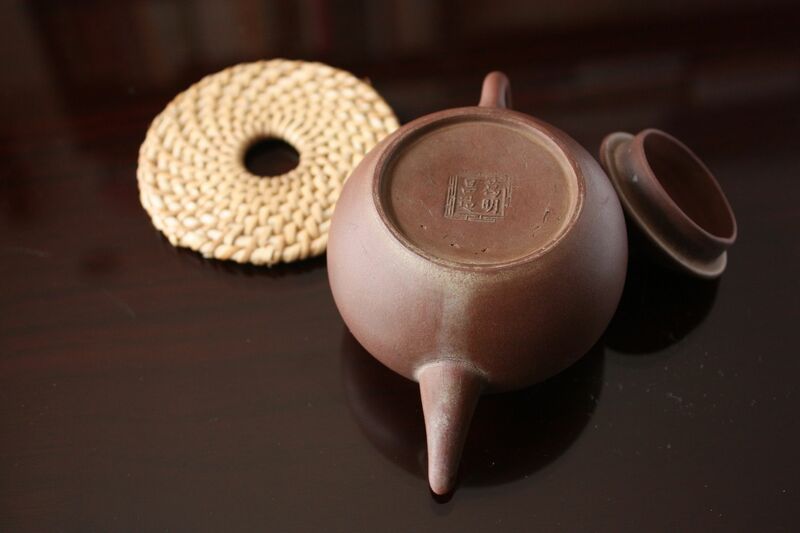 A local called Zhu Yuanzheng was especially skilled in the ways of making this tea, and tea coming from his family is renowed as particularly good, selling for 3 taels of silver per jin. In 1699, when the imperial tour arrived at Lake Tai, (an official) Song bought this tea as a tribute. The emperor Kangxi thought the name is not very elegant, and thus changed it to Biluochun (Jade Snail Spring). Thereafter, local officials always bought it as tribute, and people who sell it often use fake tea to fill as real. 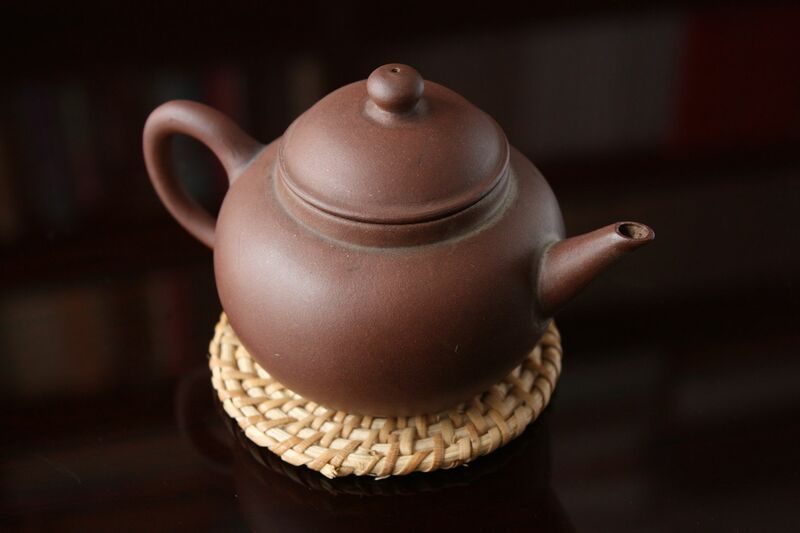 After Yuanzheng died, the method of making the tea was lost and even the real Biluochun was no longer as good. The above story is taken from an early 18th century text — some random jottings of a scholar who was talking about various subjects. A few interesting tidbits for the tea drinkers among us — the fact that biluochun was, in fact, slightly pre-fermented before kill green, that the trees were wild, that it was really quite expensive (3 taels of silver was a lot of money) and that there was already fake tea running around back in 1700. I was at a Japanese restaurant today, and the tea they served was rather interesting — a roasted kukicha, supposedly aged. I could tell right away it’s an aged roasted tea — tastes just like stuff you can buy in Taiwan, aged a few years and heavily roasted. This is pretty much what it is. The tea itself is not very strong or particularly complex, but it does do the job very well, and confirms two of my pet theories- 1) roasted teas all taste very similar if the roast is strong enough, no matter the origin of the leaves, and 2) aged roasted teas are rather sweet as long as it’s not messed up. What someone should do now is to buy up a lot of hojicha and then hoard it to make a fortune out of selling aged hojicha, or something like that. It came from Matt of Mattcha’s blog. The tea was wrapped in some nice handmade (I think) paper, and has a sticker on it from the teashop — a shop named Nok Ya Won (Green Field Garden? ), in Daegu. They sell traditional tea, apparently, and I think this tea, given what Matt had to say about it, seems pretty traditional. I sat on it for so long because I was trying to make up my mind as to how to make it. I knew this is more or less green tea, from the way it looked and smelled. I ended up deciding to make it in my young puerh pot. I figured that if anything goes wrong, the pot will fix the problems for me. And luckily, I was mostly right. The tea came out very clean and mellow, and was very tenacious — it kept going long after I thought I might die. Green teas don’t last quite as long, usually, but this one had something for me every infusion. I gave up before it did, probably 10+ infusions in. It was not a powerful tea, but a subtle one. 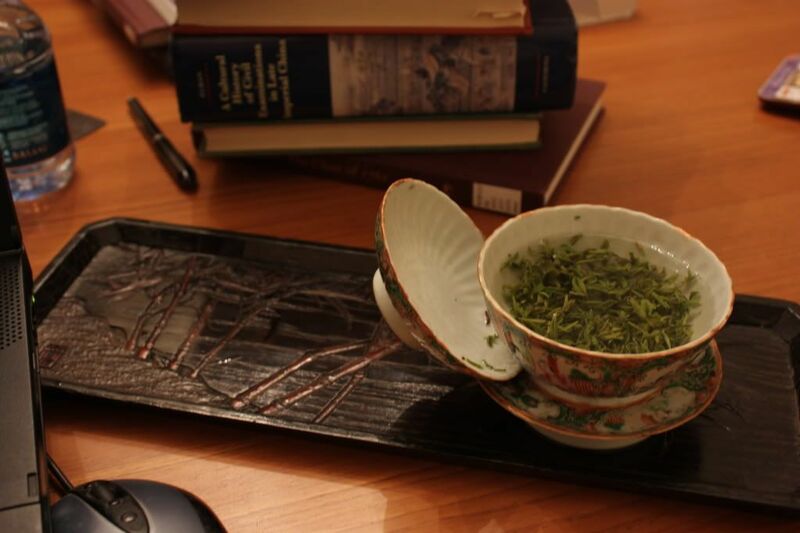 The taste, look, and feel of the tea is definitely that of a green, but more of a maojian than a longjing. The leaves are tippy, but not too tippy. I wonder — how would this taste when left alone for a while?